A LOST, golden age of stylish travel is returning to the Clyde after an absence of 60 years. Seaplanes will shortly fly half a dozen routes between the centre of Glasgow and the islands, cutting journey times normally measured in hours to minutes.Well-heeled passengers with at least £110 to spare will be able to travel in style to destinations such as Mull, Jura and Skye as Glasgow becomes the first city in Europe to host a regular seaplane service. I see they are to be based near the Glasgow Science Centre. Presumably flights would take off west-bound. Would that not interfere with approach to Glasgow Airport? seems a bit pricey but it can only carry 8 at a time or something(so i think just lookin at the size of the plane) , so it needs to profit somehow. sounds like a brilliant idea to me. although i have been on a small (not nearly that small) propellor driven plane a few times and they were quite scary. I love this idea and think that the Evening Times is reading this then they should be running one of thier polls(!!) and GCC shouldn't be supporting this in the most public way possible!(!!) Not only will it be a great use for the marina at Pacific Quay, which is where I presume the planes will berth, but a huge boost (in its own little way;) to the economy of not only the local areas, particularly Govan, or Glasgow but the whole of the West Coast! We could go in the morning, spend the whole day on one of the Isles and still be back in Glasgow for last orders, buses and trains! How long does it take to get to the proposed destinations at present? What, like three weeks and an aeon? The costs (from £110) aren't exactly prohibitive either as it would pan out if you take into account the fact that if you went by conventional means, you'd really have to stay the night, whether you really wanted to or not, to make it worth your while going in the first place. The tourists would absolutely lap it up too (hell, I'm lapping it up! ), using Glasgow as a base to explore the coasts and islands of our great little country (in that American twang), furnishing thier little economies with thier £€$¥. Sounds all a little too rosey now that I start writing this down. I suppose the only real concerns might be that the bridge at Govan might never, ever go ahead (as if it is anyway, why kid myself) and the noise levels in respect to the proposed housing at the Graving Docks and Elphinstone Village on the west carpark of the SECC. I've never seen this anywhere else though (although Vancouver has been pointed out as an example, and a good one at that) and I'm sure the latter is a very, very minor point. So, erm... aye. I'm totally in favour of this and can't wait to see it happen! Someone (sorry, can't remember who right now) on the SkyScraperCity forum suggested holding a design competition for the terminal building that will be needed, which would raise the profile of the venture before its first flight. I think this is a great idea too and perhaps something that the relevent someone in GCC (perhaps DRS, LS, CLS and the CE Office together) could put to the company behind it? crusty_bint wrote: I suppose the only real concerns might be ... the noise levels in respect to the proposed housing at the Graving Docks and Elphinstone Village on the west carpark of the SECC. Is this REALLY something for ordinary people to be excited or interested in? Hovercraft have come and gone from the Clyde in years gone by, as have helicopter services. A couple of seaplanes aren't going to bring 'hordes' of tourists and cash to the shores of the Clyde, or the ports they call at. Quck as they may be, they can only make so many flights per day, and almost half of them will be return trips. Based on the past services, the main inflow of customers will number celebrities and businesspeople, for whom the cost it irrelevant so long as they can get from A to B as quickly as possible. I know the previous helicopter services was much favoured by councillors and MPs serving on the west coast and the Highlands & Islands, claiming it released valuable time for them to devote to serving their constituents. Don't mistake a bit of hopefully healthy scepticism as being against the idea or its arrival, being able to see these interesting craft will be as much fun as being able to stand 20 m from the previous helicopters as they used piers as landing areas used to be. I'd rather just wait and see how things develop in, say 5 years, and then cheer if there's maybe a small fleet of them in operation, carrying lots of Joe and Joesephine Public (or should that be Jimmy and Senga ). Aye called the Glasgow Duck they went bankrupt after just few months. Still going well in Dublin though, no? Why not get one of these bad boys operating in the clyde? In fairness Apollo, t'was you said 'hordes', not I I'm talking about the cumulative effects of this service on the economy of Glasgow and the services destinations. It can surely only bring extra money, non? And as i said, the costs aren't exactly prohibitive - I'm no businessman and certainly no celebrity, but I fully intend to ustilise the service whe it comes into operation! 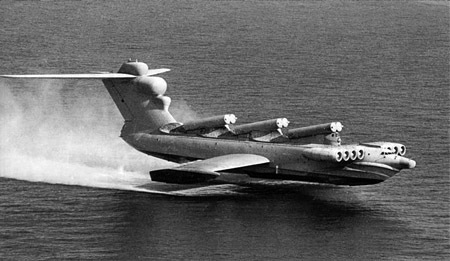 I like the idea of the sea plane too. After you've paid for petrol to get you up the west coast and then given a huge sum of money to an un-armed robber wearing a Cal-Mac uniform to put you're vehicle onto his ferry, you're not far short of the staring price quoted above. It must be said though, there is something far more romantic about sailing to an island than getting there on a 'plane. I think I came up with this idea or a similar idea involving hovercraft. These forums are being observed. Another good idea is a cable car connecting both sides of the city.